AUSTIN – In February 2017, Marine Creek Lake produced the first ever confirmed Toyota ShareLunker offspring entered in the program, a significant milestone in the program’s effort to create more prominent, better bass in Texas. Two years later, Texas Parks and Wildlife Department biologists confirmed that ShareLunker 577, a 14.57-pound bass caught at Marine Creek Lake Jan. 26, is a full sibling to the 2017 Marine Creek Lake fish, both stocked from the same group of selectively bred largemouth bass 13 years ago. Genetic testing conducted by TPWD fisheries biologists using a clip from ShareLunker 577’s fin found she is not only the full sister to ShareLunker 566, the 13.07-pound bass caught by angler Ryder Wicker from Marine Creek Lake in February 2017, she’s also the daughter of ShareLunker 410, a 14.48-pound bass caught by angler Edward Reid from Lake Conroe in March 2006. Hungerford said ShareLunker 577 beats the current water body record at the lake by nearly two pounds, and it’s also the largest largemouth bass ever caught within the four-county Dallas-Forth Worth district. ShareLunker 577 is also the third confirmed ShareLunker offspring ever entered in the program, a list that also includes full sibling ShareLunker 566 and ShareLunker 567, a 13.06-pound bass caught by angler Larry Mosby from Lake Naconiche in February 2017. Angler Zach Sypert, who caught the 14.57 pound “Legacy Class” ShareLunker while taking a friend out to fish at Marine Creek Lake Jan. 26, said his immediate reaction to catching a double-digit bass that size was “disbelief and shock.” Once he realized just how big the fish was, he said he immediately reached out to the Toyota ShareLunker program so that she would have a chance to spawn and create a new generation of ShareLunker bass stocked into public reservoirs in the state. ShareLunker 577 is the first 13-pound or larger “Legacy Class” largemouth bass submitted to the Toyota ShareLunker program so far this season, but anglers have until March 31 to submit their catch for TPWD to collect as brood stock for spawning and to collect great prizes in return. “Legacy Class” ShareLunker catches can be reported 24 hours a day, seven days a week during the season, by calling (903) 681-0550. 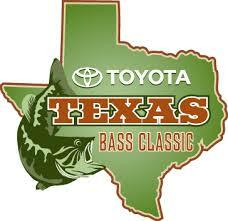 Other basses, eight pounds, and more significant, can also be entered in the program for recognition and prizes through the Toyota ShareLunker app – available for free download from the Apple App Store and Google Play –or on the Toyota ShareLunker website, https://texassharelunker.com. Anglers are also encouraged to submit scale samples from their eligible catches for genetic analysis. Instructions for collecting and sending samples can be found on the website and in the app. The Toyota ShareLunker Program is made possible in part by the generous sponsorship of Toyota. Toyota is a longtime supporter of the Texas Parks and Wildlife Foundation and Texas Parks and Wildlife Department, providing significant funding for a wide variety of education, fish, parks and wildlife projects.